As a founder of multiple technology companies, Jason has an extensive track record of success with over 20 years of experience in distributed systems management, networking and security solutions. 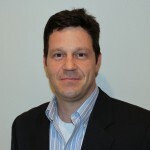 Prior to founding Exoprise, Jason served as Vice President and Chief Technology Officer in the Virtualization and Management Division at Citrix, where he helped design, develop, and deliver advanced virtualization management and monitoring solutions for the XenApp, XenDesktop, and XenServer product lines. Jason joined Citrix through acquisition of Reflectent Software, Inc, a leader in end-user application performance-monitoring solutions, which Jason founded and served as CTO. In addition to his work at Exoprise, Jason sits on the board of directors for IntervalZero, a privately held real-time embedded systems provider. Jason holds two US patents and is a graduate of Pratt Institute’s School of Architecture. Mark Yohai has been involved in software start-ups for over 20 years – and brings a keen ability to create and execute go to market strategies that result in significant business expansion and growth. He has extensive experience building and leading sales teams, establishing channels and alliances, and creating new routes to market for SaaS, Cloud, virtualization, network, and storage software. Prior to Exoprise, Mark created and led the sales efforts for the Ardence OS virtualization software, building a team and growing revenues over 700% prior to its acquisition by Citrix. 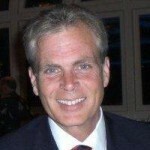 He also started and led international sales for AIC’s network management software prior to its acquisition by Cisco, helped launch AppZero’s cloud migration solution, created world wide channels for Avectra’s SaaS tools, and was instrumental in creating Applix’s international business prior to its IPO. Earlier in his career, Mark held positions at organizations including Informix and General Electric. Mark is a graduate of Boston University.